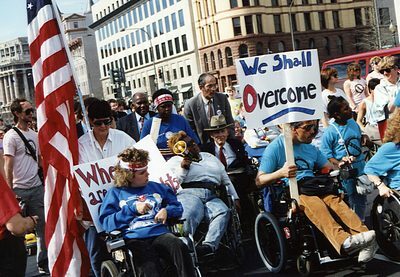 Over the holidays, the Justice Department withdrew “a number of guidance and technical assistance documents concerning the Americans with Disabilities Act.” The main document in question describes the obligations of states to provide employment services for people with disabilities in the most integrated setting and reinforces established disability employment law. Nine other ADA-related technical assistance documents were also removed from the Justice Department’s website, without providing notice or publishing any rationale for the action. “Most Inclusive Settings” or more generally “Inclusion” is one of our top three priorities. Our Senior Staff Attorney is an active member of Nebraska’s Olmstead Plan Advisory Council. The Justice Department notes that the removal of these documents from the website “does not change the legal responsibilities of State and local governments under title II of the ADA…including the U.S. Supreme Court’s Olmstead decision”. We are and will continue to be actively involved in working with the State of Nebraska to fulfill its responsibilities to the spirit of the Americans with Disabilities Act and the Olmstead decision.